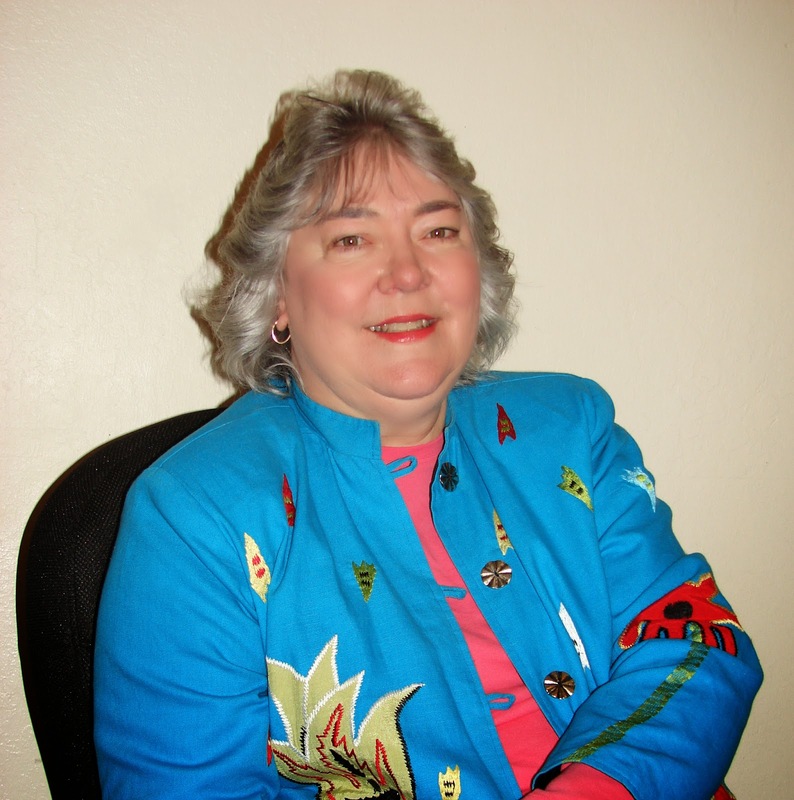 It's my pleasure to welcome Loucinda McGary back to The Romance Dish. A world traveler (she's visited 47 states and 34 countries), Loucinda writes romantic suspense novels with characters that draw you in and sets them in locales that will have you wanting to book the next flight out. Italy? Ireland? Mackinac Island? How about San Francisco? San Fran is the setting of her newest book, The Mozart Murders, an edge-of-your-seat story that I happily devoured in one big gulp. I think it's her best work so far. Connect with Loucinda on her Facebook page and on Twitter. Please join me in giving Loucinda McGary a warm welcome back! Hi, Loucinda! It’s been too long since we’ve seen your smiling face here at The Romance Dish. Welcome back! 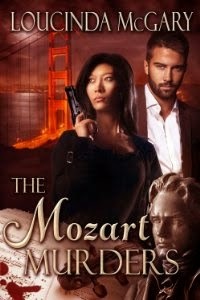 Congratulations on the release of The Mozart Murders. You really ratcheted up the tension in this one. I couldn’t put it down! Please share with our readers what they can expect from this story. Hi PJ and everyone! Thanks so much for inviting me to be your guest today. I always love to hang out at The Romance Dish, and I’m very excited to share info about my new release The Mozart Murders. Basically, this is a dark and gritty romantic suspense that centers around a serial killer dubbed “Amadeus” because he plays Mozart’s music while he commits his heinous crimes. The case is assigned to San Francisco Police Detective Philippa “Flip” Morland, and her captain hires classical musician and college professor Jeremy Burke to assist in apprehending the suspect. Of course, the chemistry between Flip and Jeremy is immediate as they investigate in some of the well-known neighborhoods and landmarks of San Francisco. As the violence and the body count escalates, so does the danger for both Flip and Jeremy. Readers can expect a lot of action and sensual love scenes along with lots of atmospheric details. However, this story is a lot darker than anything I’ve written before and is definitely not for the faint of heart. I’m so happy that you enjoyed it, PJ. At first blush, Flip and Jeremy seem an unlikely pairing. What qualities did you see in these two that convinced you they had a shot at a happy ever after? When I first started toying with the idea of a serial killer who was obsessed with Mozart, my fantastic critique partner Jo Robertson suggested I mix it up and make the heroine the hard-nosed cop and the hero the classical musician. I took her excellent suggestion and ran with it! Flip is the youngest sibling and grew up with two older brothers and a cop father. She works in a male-dominated environment and the last person she’d be attracted to is another typical alpha male. Jeremy is intelligent, witty, and comfortable in his field of expertise. Hmmm, all characteristics *I* find attractive in a man. J Jeremy was raised by two strong women and has been in a career with many strong and talented women, so he wouldn’t be intimidated by a bright, focused woman like Flip. Classical music plays an important role in this story and your descriptions had me almost believing I could hear the music in my head as the scenes played out. Are you a classical music aficionado or is that the result of good research? Actually, a bit of both. J I played the flute for five years when I was growing up, which is why Jeremy is a flautist. Playing in my school orchestra sparked my interest in classical music, and I’ve been a fan ever since. In fact, the very first romantic suspense novel I ever wrote (and my Golden Heart finalist) was inspired by an opera. Though my favorite composer is Beethoven, I’ve enjoyed the movie “Amadeus” since it was first released way back in 1984, and it inspired me to create the villain in this story. I love reading about your globe-trotting excursions. Have you been anywhere interesting lately? I haven’t been out of the country yet this year, but last month I did take a jaunt to southern Texas. I visited the Johnson Space Center in Houston (which was absolutely fascinating), and also spent a couple of fun days in Galveston. Speaking of traveling, we’re about to enter conference season. Will you be anywhere this spring and summer where readers will have the opportunity to meet you? Alas, probably not. Last week I signed final papers and received the keys to my new (to me) house, so I’ll be up to my eyeballs with moving. I’ve lived in my current place for thirteen years, which will make this move especially challenging, but I’ll be very happy when it is done. What’s next? Do you have any new stories in the works that you’re able to share with us today? Will there be more stories along the lines of The Mozart Murders (she asked, hopefully)? My newest work-in-progress is another “Dead Girl…” story. The current title is Dead Girl in Paradise, and features Sloan Madison, the brother of Tate who is the hero of my 2013 novel Dead Girl in a Green Dress. As you might guess from the title, Dead Girl in Paradise is set on Maui. I’m hoping to release the book in the fall. Thanks for visiting with us today, Loucinda! I wish you all the best with The Mozart Murders. Thanks so much for hosting me! I hope all the Dish readers enjoy reading Mozart Murders. Do you listen to classical music and what are your favorite pieces? What kind of music do you like the most and would you like to read a story centered around it? I’ll give a free download of The Mozart Murders to two random commenters. Thanks again for having me as a guest! Congratulations to Lucinda on her latest story. My husband and I often listen to classical music in the car since Temple public radio plays classical music all day. I don't know that I have a favorite but it is relaxing to listen to. Hi Maureen! Thanks for stopping by and leaving a comment. I always listen to my local Public Radio station when I'm in my car and when a piece comes on that I really like it's like meeting an old friend! Hi Cindy! Welcome! Thank you for so graciously answering all of my questions. I'm so glad to hear that we may have more stories following The Mozart Murders. I really enjoyed this book and was hoping you might have Flip's brothers on the radar. I was very intrigued by both of them! *LOL* I love that PJ had to walk the dog at 11:30 at night right after reading about a super-scary villain! *LOL* But more so, I love the angle being flipped that SHE is the hard-nosed cop; and HE'S the artist type. Awesome!! I don't listen to a lot of classical music no, but it's hard not to be swept up in Beethoven's Ode to Joy (we sang the hymn that was later written to it--and it always moved me--I always wanted to cry happily.) There are some that I really enjoy; there are others where, not so much. *LOL* But I do love music. I listen to top 40 mostly on my rock station, so that's a mix of pop and alternative. I frequently use songs to listen to as I write specific scenes...to keep the mood of it. If I was writing something around music, it'd probably be Southern women chick lit written around Loretta Lynn or other country great songs. With some of the plot threads very much like some of the songs we know: like Carroll County Accident; and Saginaw, Michigan...or I truly see me doing a version of Harper Valley PTA. LOVE the idea of a Southern chick lit with country songs as plot threads! Get to writing! Carrie, it must be incredible to see him in person. Thanks so much for dropping by, Carrie! I'm with PJ, must be incredible to see Perlman perform live. I'm green with envy! Cindy, congrats on your new release! The book sounds great. Yes, I listen to classical music, and like you, I was first exposed to it via school music lessons--in high school band, as it happens. I took piano lessons and so learned a bit about classical music and composers, but the beauty of orchestral sound was something I first experienced as a teenager. Now I love it. Nancy, the book is great. I highly recommend it! Great to "see" you here, Nancy! I always want to learn the piano but the school didn't have one you could bring home, and they did have a flute. LOL! I too love the beauty of a full orchestra, and I don't go nearly often enough. I very rarely listen to classical music. Gotta be in the mood. And I go more for musician than for composer. I love Yo Yo Ma :) Thanks for sharing and congrats to Cindy on her new release! I TOTALLY agree about Yo Yo Ma, Erin! He is fantastic! Same with Perlman. I'll admit, not all classical music is my cuppa. Some of it is definitely an "acquired taste." ;-) Thanks a bunch for stopping by. Just bought 'The Mozart Murders'. Looking forward to reading it. Great interview, PJ and Cindy! I like classical music but only as background for my writing -- kind of like white noise. I think the idea of a murderous musician is a great one and the book is highly entertaining (in a dark way lol). Hi Jo! Thanks for your suggestion to make Flip the alpha and Jeremy the beta in this story. It totally works! Thanks sooo much for stopping by Jo! And can't thank you enough for all your input on Mozart Murders! So much of the credit for this entertaining story goes to YOU! You played the flute, too? I played for a couple years but was never very good at it. This book was the darkest you've written and you do dark well. The serial killer was a fascinating and complicated character. How did you go about developing this character? Hi Jen! I played flute in school band too though I was only of average talent. My sister-in-law is a very talented flautist. She played in high school, college and now plays with a community orchestra. I love to listen to her play. I agree that Loucinda does dark very well. I loved this book! Hi Jen! Thanks so much for stopping by! Wow, 3 of us were flautists?!?! I'm surprised! Like PJ, I think I was only an average talent, but practicing got me out of doing the dishes (we didn't own a dishwasher until I was in college). I played for 5 years, then I discovered boys, and my interest in the flute disappeared! HA! Nice to "meet" you too! I'm so glad you stopped by and hope you will give some of my books a try. Ah, there's nothing like a Strauss waltz to help you sail through chores. ;-) Lots of Mozart's music has a light hearted feel even though his life was actually quite tragic. He and his wife had 6 children but only 2 survived infancy... so very sad. As I said, the movie "Amadeus" was one of my inspirations for this story. I also saw a stage production of the play that was also quite memorable. HUGS, Helen! So wonderful to "see" you here! I hope your ankle is doing better. I like music from the 70s too... 1770s, 1870s, and 1970! LOL! Thanks so much for downloading Mozart Murders and I hope you enjoy it as much as I know you've enjoyed by other books. Hope you enjoy Mozart Murders. Tchaikovsky's Nutcracker Suite and 1812 Overture , Vivaldi's Four Seasons featured in Prettyy Woman and Beethoven's famous 5th Symphony. Not a fan of Wagner, too heavy and disturbing. OOPS I like Mosart's Symphony #21 too! Wagner isn't my fave either (probably because he was my ex's). My favorite Beethoven symphony is #6, the Pastoral. Sorry I'm late to the party! Loucinda, you know I love your books! 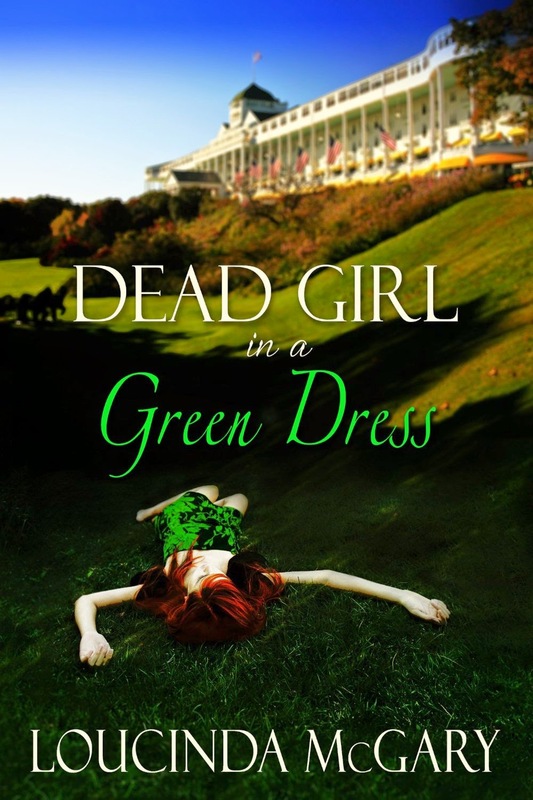 The cover of DEAD GIRL IN A GREEN DRESS is gorgeous! I'm in awe of your travels. I knew you traveled, but I had no idea how many places you've been! Have your travels influenced the way you write? Do you go to exotic places in order to research books? It sounds idyllic! Hi Becke! So glad you could make it! Thanks for the compliment on Dead Girl. I'm using a "new" cover artist and she did both Dead Girl... and Mozart Murders and I LOVE both! Hope you enjoy Mozart Murders! Thanks so much for visiting with us today, Loucinda! We wish you all the best with The Mozart Murders. Hope you'll come play with us again! Thanks again for inviting me to be your guest, PJ! I had so much fun, and I'm thrilled that you enjoyed The Mozart Murders! I've loved Pachelbel since I was a teenager. Other than that, I'm not very into classical sad to say. Loved the Mozart Murders, though. Does that count? Though I'm not an avid listener of classical music, I have bought several CD's of various classical orchestra's to listen to when I paint! It's very soothing and relaxing! Plus - my husband played the cello in high school, which is just a BEAUTIFUL instrument! I would totally read any book centered around music!